It is not easy to discuss the theme of the relationship between Israel and the Vatican. On one hand, of course, it is an international, diplomatic relationship. On the other hand, the two parties are unique: the relationship between the two cannot be compared for instance to the relationship between France and Spain . We are talking of the Holy See, which is the expression of the highest authority of the Catholic Church (a religious reality). And we are also talking of the State of Israel: a state which at the international level is a state like any other, but which at the same time has a special character to the extent that its birth was connected with the return of the Jewish people to its ancestral land (again, a religious reality). Even only on the basis of the uniqueness of the two parties one may intuit the complexity of their relationship, of which the diplomatic relationship is the formal, conclusive act, but an act that was preceded by a long history. In this history three aspects are decisive. This last event was one of the high points of my [ecclesiastical] service. I still remember when the Pope arrived in the evening at Tel Aviv, welcomed in the most solemn manner by the President, the government, the members of the parliament, the armed forces, in a splendor of lights; but a splendor that was still cold. Four days later, when the Pontiff left, the same splendor was still there, but at the same time everyone was deeply moved. It was a grand experience: the prayer at the Western Wall, the visit to the Yad Vashem (the Museum of the Shoah). The diplomatic relationships had already been established in 1994, but this trip by John Paul II in the year 2000 represented their completion. The other factor which we must consider is the attention, the solicitude on the part of the Holy See for the holy places in Jerusalem. This almost jealous attention always existed. When the establishment of the state of Israel appeared on the horizon in 1947-48 and the issue was debated by the United Nations, a proposal emerged from the General Assembly which viewed Jerusalem as a distinct entity. With Paul VI and John Paul II Jerusalem was regarded as a “holy place” for the three religions: a special understanding of the city as a historical and religious reality was put forth, so that not only free access to the various places of worship would be guaranteed (something which Israel has always allowed), but also a statute would be drafted making sure that the three religious communities could live and develop together. The third crucial element is the historical-political one: the wars and the prospects for peace in the region. It is not accidental that the decision to establish diplomatic relations between the Vatican and Israel was taken when the Madrid talks were just beginning (1991). The question was then often raised: “Why does the Holy See not recognize Israel ?” In fact, I remember that at the Secretariat of State we always took the existence of Israel for granted; even in the absence of formal diplomatic relations there were significant contacts. I remember many events marked by the presence of Israeli delegations: the deaths of John XXIII and Paul VI, the conclusion of the Ecumenical Council, the enthronements of John Paul I and John Paul II. Of course the question of diplomatic relations remained. It was slow progress, but one which in the end brought about significant results. 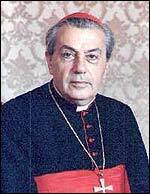 In the October of 1991, a meeting of cardinals expressed a vote in favor of a moderate, cautious and progressive normalization of the bilateral relationships between the Holy See and the State of Israel. A little later, between January and July 1992, the Apostolic Delegate to Palestine had a series of meetings with high-ranking officials of the Israeli Foreign Ministry, establishing two things: a permanent bilateral working commission, and the drafting of a list of discussion topics. This list included a series of themes which would later be defined by the Fundamental Agreement: freedom of religion and of conscience, legal and administrative relations, Catholic worship in the holy places, Catholic educational institutions in Israel, means of social communication, the way Catholics viewed problems related to social welfare, ecclesiastical properties and fiscal problems. This agenda for the future also included a period for the normalization of diplomatic relations, which is still going on; cooperation in fighting anti-Semitism; the promotion of pilgrimages to the Holy Land ; cultural exchanges, and so on. The commission began its activity. It had two levels: one including officials and experts, and one including the respective Deputy Foreign Ministers. Finally, the project of the Fundamental Agreement was signed on October 31 st, 1992 . One of the goals of the Holy See was to guarantee the juridical security of the Church and of the Catholic institutions, establishing a normalization of the relationships between the two parts (of course the Holy See kept the other churches and Christian communities informed and welcomed their suggestions, even if it did not represent them). A further issue was to define the status of the Catholic entities under the jurisdiction of the State of Israel; and finally, to favor the political developments of the peace process (the Holy See had in fact announced its readiness to participate in the peace negotiations, but this suggestion was dismissed, just as there had as yet been no negotiations on the status of Jerusalem). In that period, there were many contacts between the Holy See and the Arab countries, which in general wanted to slow this process down; but at a certain point the more moderate countries (such as Jordan) started to view this process more favorably (the fact that on October 25 th, 1994, Jordan signed a peace treaty with Israel was not unrelated to these events). The Fundamental Agreement, for its part, was signed on December 30 th 1993 , and it became binding on May 10th, 1994. Some points of this Fundamental Agreement are worthy of our particular attention. The introduction, in all its parts, is very significant, underscoring the historical development of the relations between Jews and Christians. Article 1 emphasizes how both the State of Israel and the Holy See recognize the principle of freedom of religion and of conscience. Article 2 affirms a strong condemnation of racism and anti-Semitism. Article 3 is fundamental from the political point of view: in the first paragraph the two parties reciprocally acknowledge their respective sovereignty; in the second, in relation to an issue which the Church considered particularly important, the State of Israel acknowledges in their fullness the religious, charitable and educational activities of the Catholic Church (and the same is done by the Holy See for the State of Israel); finally, there is an acknowledgment of all ecclesiastical entities in their juridical personality, and there is mention of the negotiations that shall lead to the 1997 agreement. In Article 4 there is a reference to the preservation of the status quo as far as the Holy Places are concerned: as is well known, this status quo goes back to the Ottoman Empire when the holy places of Christianity started to be regulated by three authorities: Armenian, Orthodox, and the Catholic Custody of the Holy Land . The agreement of December 10 th, 1997 resulted in the later recognition of the juridical personality of the Eastern Catholic Patriarchates (such as those of the Syro-Catholics and the Maronites), of the Latin Patriarchate of Jerusalem, and of their respective dioceses in the territory of Israel . What is still missing is an agreement on fiscal questions (already foreseen as imminent in Article 10 of the Fundamental Agreement): negotiations are still taking place, though we hope they shall soon reach a conclusion. Yet another problem which needs solving concerns the release of residence permits to ecclesiastical personnel. Finally, we need to find an agreement concerning spiritual assistance to people who have no freedom of movement as they find themselves in prison or in hospital. In any case, the importance of the Fundamental Agreement is beyond question, and it clearly shows how, over the past years, closer relationships have come to be established between the Holy See and Israel . In conclusion, I would like to mention a few speeches that marked the encounter between Pope John Paul II and the highest religious and political authorities of the State of Israel during the Pope’s trip to the Holy Land in March 2000. I was a witness to those meetings and I must say that they were truly extraordinary occasions. Today, with great emotion, I tread the soil of the land where God chose to pitch his tent. Many things have changed in the relationship between the Holy See and Israel from the time my predecessor Paul VI came here in 1964. The establishment of diplomatic relations between us in 1994 has sealed the efforts towards the opening of a new era of dialogue on questions of common interest, such as religious freedom, the relationships between church and state, and more in general the relationship between Christians and Jews […]. On another level, world opinion follows with great attention the peace process which involves all the people of this region, whose goal is to achieve a lasting peace with justice for all […]. And finally we must fight to present always and everywhere the true face of Jews and of Judaism, as well as that of the Christians and of Christianity. Many generations have passed from the beginning of the history of my people, but to my eyes it is as if only a few days had passed. Two hundred generations have come, one after the other, from the time a man called Abraham came upon the stage of history, and one hundred and fifty generations divide the pillar of fire that marked the redemption of the Exodus from Egypt , from the pillars of smoke which marked the annihilation of the Shoah. Two thousand years ago the people of Israel was exiled from its country, from its land, was dispersed among the nations, in countries all over the different continents. Today I and my brothers and my sisters were born at the time of the return of the Jews to their land, of the re-establishment of their fatherland. We appreciate the contribution of Your Holiness to the condemnation of anti-Semitism, defined as ‘a sin against God and against humanity’ […]. The State of Israel is today engaged in a peace process which moves and encourages us […]. This evening, Your Holiness, You come to Jerusalem , the city of peace, the city of eternity. We welcome today one who has thought it beneficial to express remorse in the name of the Catholic Church for the terrible actions committed against the Jewish people in the course of the past two thousand years […]. We appreciate his acknowledgment of our right to come back to the Holy Land and to live there in peace and fraternity, within secure borders that are recognized by the nations of the world. In this place, the mind, the heart and the soul experience an extreme need of silence. I have personal memories of all that happened when the Nazis occupied Poland during the war: I remember my Jewish neighbors and friends, some of whom died, while others survived […]. Here, as in Auschwitz and in many other places in Europe , men, women and children scream at us from the depths of the horror which they experienced […]. We remember the righteous gentiles who acted heroically to save the Jews, sometimes to the point of offering their own life […]. We remember, but without any desire for revenge, nor with the intention to stir up hatred. For us, to remember means to pray for peace and justice […]. As bishop of Rome and as successor of the Apostle Peter I assure the Jewish people that the Catholic Church, motivated by the Gospel law of truth and of love and not by political considerations, is profoundly saddened by the hatred, the acts of persecutions and the manifestations of antisemitism directed against the Jews by Christians of any time and place… The world must pay attention to the warning that comes from the victims of the Holocaust and from the testimony of the survivors. Here in Yad Vashem, the memory is alive and vivid in our soul. It makes us cry with the words of Psalm 31: "If I hear the whispering of many, terror on every side; but I trust in You, O Lord; I say 'You are my God.'"